How is unemployment measured? Does South Africa have the worst unemployment rate in the world? And is a 'work opportunity' the same as a job? We answer three frequently asked questions about jobs in South Africa. 1. What is the difference between the official and the expanded unemployment rate? looking for work or trying to start a business. South Africa’s official unemployment rate was 27.1% in the last three months of 2018, according to Stats SA’s latest Quarterly Labour Force Survey. This means 27.1% of the labour force, aged 15 to 64, was among the “searching unemployed”. The expanded definition of unemployment, on the other hand, does not require a person to be looking for a job. They just need to be without work and available for work, said Stats SA’s acting chief director for labour statistics, Malerato Mosiane. The expanded unemployment rate was at 37% in the fourth quarter of 2018. This means almost four in 10 people in the labour force were among the searching or non-searching unemployed. Stats SA previously told Africa Check the expanded definition could be a more stable indicator. Mosiane said unemployment rates estimated from 2000 to 2018 were comparable. In this period, South Africa’s highest unemployment rate (according to the official measure) was 29.3% in March 2003. The lowest unemployment rate (21%) was recorded in September 2007. 2. 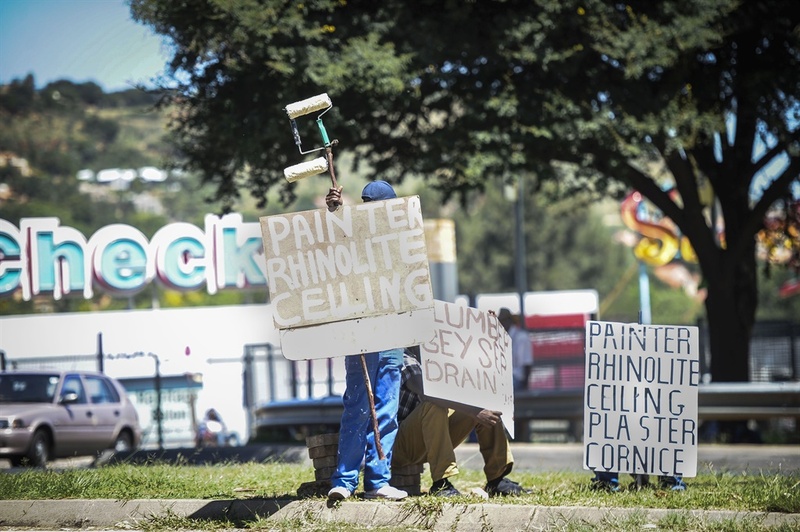 Does South Africa have the highest unemployment rate in the world? Comparing countries’ unemployment rates isn’t straightforward. There is no single definition of unemployment and data collection methods may differ from country to country. But the available data puts South Africa among the poorest performers. The rate in South Africa (27% in 2018) was the highest among these countries, followed by Greece (21%), Spain (15%), Italy (11%) and Turkey (11%). Japan’s unemployment rate was the lowest, at 2%. The International Labour Organisation (ILO), a United Nations agency, produces estimates of unemployment for 189 countries, territories and areas. According to its 2018 estimates, South Africa ranked in the bottom two. Only the Occupied Palestinian Territory (“the West Bank, including East Jerusalem, and the Gaza Strip”) fared worse. 3. Is a job and a work opportunity the same thing? When reporting on job creation – particularly when talking about the Expanded Public Works Programme (EPWP) – the government often uses the term “work opportunities”. But a work opportunity is not a permanent job. EPWP work opportunities typically run for a few months, according to the department. Learnerships are also counted as work opportunities. The labour force survey considers someone to be employed if they are aged 15 to 64 and worked for at least an hour in the week before the survey interview. An EPWP worker who meets these criteria would therefore be considered to be employed at the time, Mosiane confirmed. There were 16.5 million employed people (including employers, employees and own-account workers) in the fourth quarter of 2018. In that quarter, 61% of the nearly 14 million employees were permanently employed. The rest had contracts or agreements of unspecified or limited duration.